Asbestos Abatement — Taff & Frye Co. Inc.
Our staff contains certified employees and asbestos supervisors who are able to safely and effectively get rid of hazardous materials, as well as survey areas and structures for architects and other privately owned businesses that want to know if a project contains environmental hazards. This image is from a project in Elizabethton where three of our certified asbestos workers removed caulking from the chimney of a house that will be renovated and saved for historic purposes. We can provide containment when removing window glazing from skylights if other contractors are working in the same space and would feel more safe. Working with others and making sure everyone feels secure is important to our company. 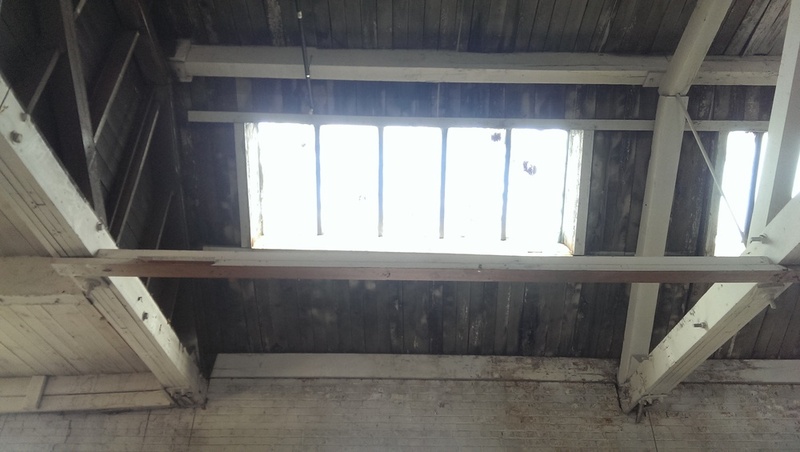 Below are images from areas of skylights that we removed in a busy working environment. We created tall containment's that kept debris away from other work areas while also ensuring that the building remain safe from any chance of asbestos contamination. Our company is also available to provide asbestos sampling and surveying by our licensed environmentalist whom prides herself on being thorough and efficient at labeling and identifying all potential hazardous materials within a project area. Asbestos Surveying: The images above are examples of Whitney Taff taking asbestos samples for a job site that will need to be sent to a lab and tested for positive/negative and friable/non-friable materials.